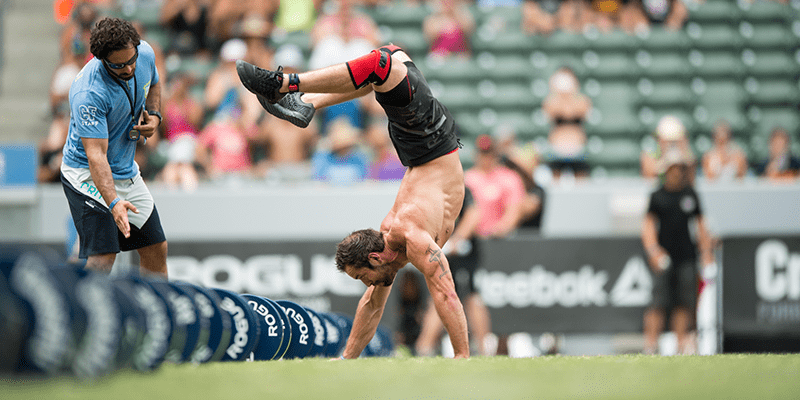 3 Simple Stability Tests Every CrossFitter Should Pass! Can you pass these three stability tests? The key to getting more gains is longevity! The key to longevity is to not get hurt! The key to avoiding injury is to have a balanced body that performs well! There is no doubt about it! CrossFit is one of the best training methods for all over fitness and strength. The hard part for any trainer or coach is for people to be consistent with the days that they train so they get the most out of the programming. You can literally have someone not doing a certain movement for weeks at a time if they work shifts or just have a busy lifestyle, that is why it is so important that crossfitters themselves know how to check their bodies for imbalances to avoid getting injuries over the long term! And no, foam rolling is not enough! Stability training is crucial for your mobility! My simplistic mobility method is all built on stability and balance within your range of motion! Testing each arm individually is SO important. Holding an upside down kettlebell is a great way to get automatic core stabilisation, you literally cannot do it wrong or you will get a kettlebell in the face. Make sure you are confident with the movement first of all, then you want to test what you can do with each arm. If you can press a 20kg kettlebell with one arm and barely 16kg with the other then THAT is something you need to work on as that imbalance WILL carry over to your pressing and pulling. Especially when it comes to one rep max time! You always will have one side that you’ll be more confident with, but the difference should be very minimal. Lifting the same weight on both sides is important, but you should also be able to lift the same weight WITH GOOD FORM on both sides! Getting more proficient at this movement will ace your shoulder strength AND stability!